During the weeks of July 29 and Aug. 5, elementary and middle school aged children with Down syndrome are invited to ballet workshops through the not-for-profit, The Purple Tutu. The mission of The Purple Tutu is to bring the beauty and artistry of ballet to dancers with Down Syndrome who may feel that classical dance training is out of their reach. The first workshop held in April was a huge success. A dancer’s grandmother said “I cried after attending the first class, cried “happy tears” because I was just overcome seeing the joy on the children’s faces and overcome with gratitude for The Purple Tutu”. Students will be accepted on a first come / first serve basis. Each class will be taught at Mount Pleasant Presbyterian Church. Classes will start at 9 a.m. and be built around attendance. Classes are at no charge, but donations are appreciated. 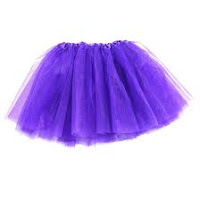 All proceeds generated by The Purple Tutu will go to a scholarship fund to benefit the education of a child with special needs. Participants are encouraged to wear sweatpants/yoga pants, a T-shirt and bare feet. Tutus will be provided for class use. Holland McDowell, who founded The Purple Tutu, began her formal dance training at age 7 with Charleston Ballet Theatre School and has been dancing for nine years. McDowell is trained in classical ballet, pointe, jazz, tap and musical theatre. She has performed in productions including: Charleston Ballet Theatre’s “The Nutcracker,” “The Little Mermaid,” “Romeo and Juliet,” “Cinderella,” “Off to Oz,” “Willie Wonka” and “Alice in Wonderland.” She attended The South Carolina Governor’s School for the Arts and Humanities Summer Dance 2012 program. If you would like to participate with the program or donate to The Purple Tutu, please email thepurpletutuballet@gmail.com.